Mobdro is a very popular Android APK for watching movies and live TV streams. It finds movies and live TV streams online through various free IPTV channels. These 24/7 streaming channels online can also be accessed with Mobdro from within Kodi using the Mobdro addon easily installed with the following guide. Categories within Mobdro addon for Kodi include Channels, News, Shows, Movies, Sports, and Music. You can find out much more about the Mobdro APK for Firestick and other Android devices in our Install Mobdro APK article. Mobdro makes its home in several repositories, though the version in Mr Free World Repository has been very recently updated and has proven to be working great. If you’ve already installed a few addons and repositories in Kodi, you’ll know what to do with the http://legionworldtv.com URL. Enjoy all the free live TV streams online with Mobdro on Kodi! In cases where the Mr Free World repo is down, you may also find the Mobdro Addon housed within the Bliss TV Bookmark Lite repository. This is located at their http://bliss-tv.com/lite URL. For the Bliss TV Bookmark Lite repo, you will need to install the repository itself (repository.bookmarklite-x.x.zip), then install Mobdro Kodi addon from within its Video addons directory. The Mobdro Kodi addon install process is a simple two-step affair. 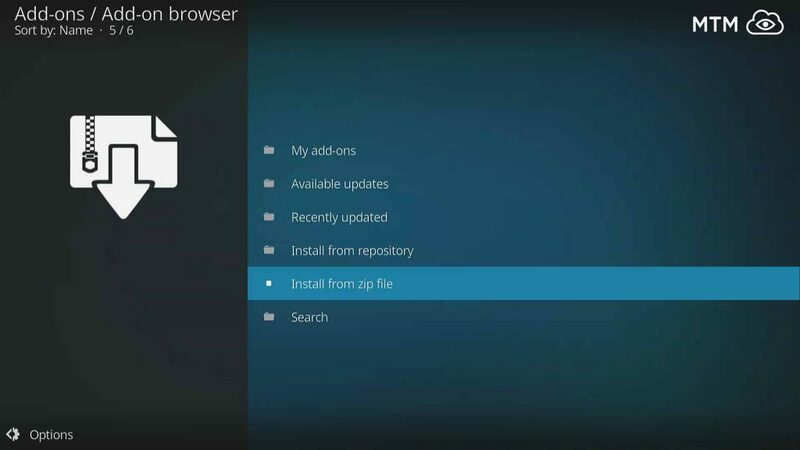 First, we provide Kodi with the source URL, then install the Mobdro addon directly from a zip file found in that location. Let’s get the Kodi Mobdro IPTV addon installed for some live TV streaming goodness. Follow these simple steps. On the Kodi front page, click System Settings, which is a gear cog icon. Then, click on <NONE> to provide Kodi with a custom source location. Type in the http://legionworldtv.com/zips/ URL, then click OK.
Name this anything to help you remember what it is, then click OK. We’ll name it legion for this illustrated guide. Double check for errors, especially in the source URL, and click OK once more. Back on the Kodi main menu, click Add-ons. In the dialog that pops up, select the source installed earlier (legion was our naming choice for this installation guide). Scroll down to the plugin.video.mobdro.zip item and click on it. You should notice a Mobdro Add-on Installed notice appear in the top-right of the screen once Mobdro Kodi addon is done installing. Thanks for this! I was in IPTV channel withdrawal pain when Blamo shut down, as I really liked Aragon Live. It seems Mobdro on Kodi will provide pretty much the same live TV channels for streaming live TV? Can i also watch live feeds of ufc fights here? I’m thinking of ufc 229 with McGregor vs Khabib coming up later this week. Most of the iptv channel hosts i’ve seen with live sports broadcast networks seem pretty sketchy. Hey Jacob! We just published an article about a tricky little hack you can use to get official UFC live streaming access for way less than anyone in the US, UK, or Canada could otherwise. I mean like 75% off from the regular UFC access pass prices! You can easily catch the Khabib vs McGregor UFC229 fight this way without spending a ton of money. You’ll also be able to access all the other UFC fights way cheaper than usual with this trick.